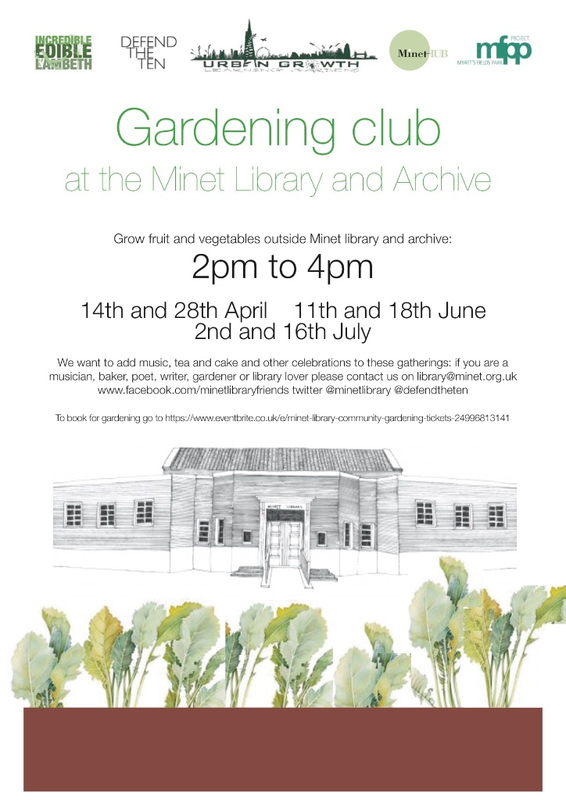 Urban Growth has been awarded funding by Incredible Edible Lambeth for two new growing beds outside Minet library and will hold fortnightly gardening sessions over the summer. Apologies for the very late notice but there will be a session today from 3pm when we will be planning what to grow - everyone welcome to come along and join in. Copyright © 2016 Myatt's Fields Park Project, All rights reserved.